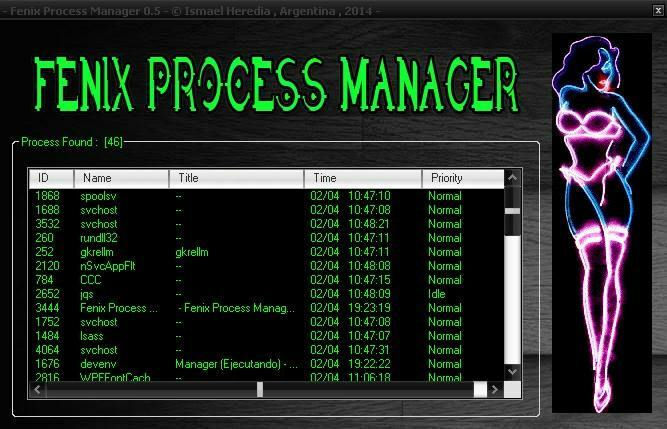 Fenix Process Manager is a tool that can display processes running on your computer, allowing you to terminate them etc. For each process, it displays the process name, time and what priority it is running at on the system. Unfortunately it doesn't provide indepth information about processes and threads like some similar software, but it can be used as a means to quickly and easily kill off processes.